This tabletop ceramic fountain will add a spring of fresh water to any indoor or outdoor space. A tabletop fountain is a great way to add a peaceful calm to your decor. 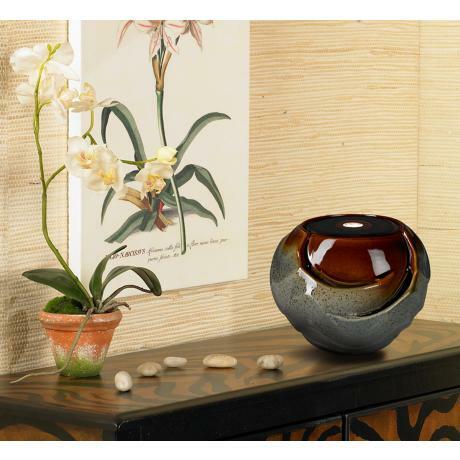 This indoor/outdoor design features graceful, round ceramic vessel in rich, warm earth tone glazes. An included LED creates a charming illuminated accent light. A recirculating pump and power cord are included; simply add water, plug in and enjoy. • Earth tone glaze finish. • LED accent light included.